Catch of my Life, Remote Control R/C Fishing Style! 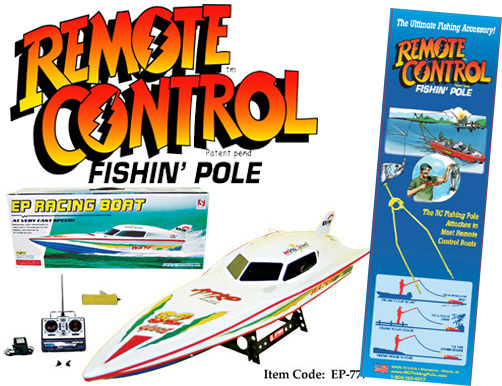 I couldn’t wait to try out“The R/C Fishin’ Pole”, I had this cool new r/c fishing boat I bought at Rc Fishing World . I couldn’t ask for a better sunny day to try it out. There’s a bay at the corner of the lake, it’s kinda shallow, with some lily pads, I fiqure there are probably some fish swimming under them. Attaching “The R/C Pole” to the boat was easy. Easy enough, I put the rc boat in the water, hit the button, then zoom, there goes the worm! Wow, now I thought that was cool, there was a different feeling, I’m used to casting, so this was new to me. Well, I had a bobber on it to so there’s the r/c boat out there, the bobber’s bobbin. Nothing happining.., so I decide to move,(drive) the r/c boat about 10 feet to the right. Wow, now that was cool, I just drove my worm to another spot, instead of haveing to reel it in and cast again the rc boat drives to another spot! 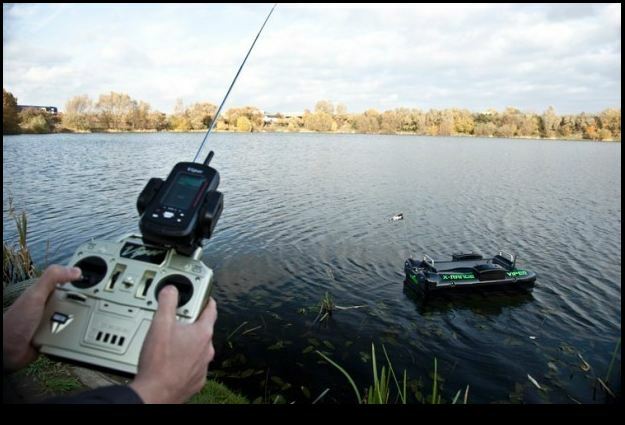 So, there it is now and still nothing….I’m wondering…did the rc boat scare the fish? I drove the r/c boat again another 10 feet…..and watched the bobber patiently. I imagined the fish laughing, looking at the worm, and seeing the r/c boat, maybe, if fish can think, then the whole set-up was too obvious. Then as sure as I’m sittin here right now, the bobber goes under! The line snaps off the r/c boat, and I’ve “got em”! Whatever it is…it’s big! The feeling at that point is “exileratig”, I caught one with a “Remote Control Boat”! It’s a Bass! Now, if I could describe the look on the fishs face, complete shock! The fish did’nt know what to think, what a tale he would tell his buddy’s, I doubt they are going to believe him. Kind of like being picked up by a UFO! I wish I had a camera that day cause I swear “Fishes CAN make faces at you”, He had a look on his face like he was caught by a UFO and I was an alien from MARS with my r/c fishing boat! !It was so funny I almost lost my drawrs right there! I wish I had some witnesses!